Some Summer Saturday Songs to Sing (and dance to). The Kite String Tangle x Dustin Tebbutt - Here's the low down - Ahead of his return to the US, and fresh off the back of the 'Illuminate' release; a collaboration alongside fellow Australian artist Dustin Tebbutt, rising talent The Kite String Tangle has unveiled a new video for the title track. Having made his stateside debut at last year's CMJ Music Marathon, The Kite String Tangle will be playing a run of dates this July/August, including a show at New York's Mercury Lounge and Echo in LA. The Kite String Tangle, a.k.a. Danny Harley, has enjoyed a great run since the release of his breakthrough single ‘Given The Chance’. Striking, delicate electro-pop tunes including ‘Arcadia’, ‘Stone Cold’ and ‘What If’ followed; sold-out headline shows and some killer festival appearances confirmed his popularity, as did an ARIA nomination and a spot in the Top 20 of the 2013 & 2014 Hottest 100. So lets find out a little about Los and the Deadlines - Describing themselves as a blue collar band, Los and the Deadlines came into being when Arizona native and lead vocalist Alex LoSardo moved to London in 2010. After being introduced to guitarist Neils Bakx, the two found common ground in their interests and influences and started composing music while studying for their undergraduate degrees. After several line up changes and the release of two EPs, the band recruited Italian drummer Alberto Voglino and Israeli bassist Rotem Haguel. Together they embarked on the recording of third EP 'Perfect Holiday' which marked a new direction in the band's musical journey. 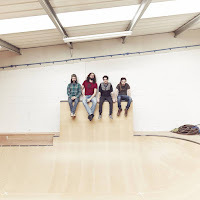 The epitome of art-rock, Los and the Deadlines utilise cliches to convey their message through their broad-ranging sound, which encompasses grunge, stoner rock, noise rock, punk and sludge. Introducing The Heavyweight Brass Band. New to Beehive Candy lets get up to speed with this intriguing and thoroughly enjoyable band. The band is currently embarked on a Canadian Tour including stops at top Jazz festivals, in Vancouver, Calgary, Edmonton, Winnipeg, Ottawa and Halifax amongst others. 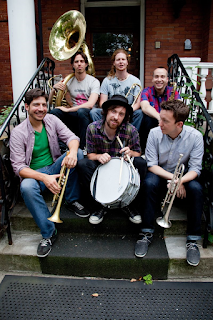 The Heavyweights Brass Band is all set to perform at the prestigious 2015 Festival International de Jazz de Montreal, the world’s largest jazz festival in Quebec July 2-5, 2015. The alliance with the two industry leaders comes on the back of an overwhelming response from their audiences for more performances across the continent. First up is Melanie Durranta singer-songwriter who embodies real artistry through her very unique, edgy and soulful music style. Born and raised in Toronto, Melanie attended the Earl Haig School of the Arts. She trained at the Royal Conservatory of Music and worked on an eclectic array of projects before she became an “alternative hip-hop soul” artist. Citing influences that range from the soulful swoon of Minne Ripperton to the hard-knock of Aerosmith to the “mercy me” melodies of Marvin Gaye, the radiant singer/songwriter has no problems crashing through the wall of sound. 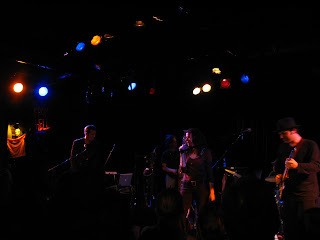 From the Internet Archive this is Edie Brickell and New Bohemians Live at Martyr's, Chicago, Illinois back on 25 October 2006. For those unfamiliar with the band we are can learn the following from Wikipedia (assuming it is accurate and that can be a big assumption) - Edie Brickell & New Bohemians is an alternative rock jam band that originated in Dallas, Texas in the mid-1980's. The band is best known for their 1988 hit "What I Am" from the album Shooting Rubber bands at the Stars. Background - Introducing the third full length album from Australian artist Lo Tide. 'Learn to Wait' features four different and unique vocalists from around the globe on the A side of the vinyl, with the B side comprising four deeply varied instrumental tracks. The LP showcases a collection of styles and production techniques including electronic elements, field recordings and everything in between. The album title is drawn from life's journey and the process of learning patience; whether related to music/creativity or both small and large life changes. Featured song 'Times Two' has a really stripped back feel to it, the variable beats & genuinely down tempo arrangement is quite hypnotic, a case of less is more.